A research team has shown that desert kangaroo rats fend off predatory rattlesnakes through a combination of speedy reaction times, powerful near-vertical leaps, and mid-air, ninja-style kicks. Locating snakes through radio tracking and filming snake-kangaroo rat interactions with high-speed video cameras enabled the team to analyze strike and reaction speed, distance and angle the rats moved to avoid being bitten, and aspects of the impressive maneuverability displayed by most kangaroo rats in the recordings. About 81 percent of recorded snake strikes were accurate, yet the snake actually bit the kangaroo rat in just 47 percent of the strikes and latched on long enough in just 22 percent of strikes to actually kill and eat the kangaroo rat. The slowed-down videos demonstrate the importance of kangaroo rats’ physical features, including long tails and powerful legs, and mid-air maneuverability in escaping predation. A student-led research team from three California universities has shown that desert kangaroo rats frequently avoid predation by rattlesnakes through a combination of speedy reaction times, powerful near-vertical leaps, and mid-air, ninja-style kicks. A desert kangaroo rat in the desert of the southwestern United States leaps over a sidewinder rattlesnake to avoid predation. Image courtesy of the research website, ninjarat.org. The research team tracked free-ranging rattlesnakes using radio telemetry and set up high-speed video cameras to capture potential predatory interactions when tagged snakes took on their ambush postures near active kangaroo rat burrows or foraging kangaroo rats. The researchers recently published their findings on the factors affecting snake predation success and potential advantages of bipedalism among small mammals. Both sidewinder rattlesnakes (Crotalus cerastes) and desert kangaroo rats (Dipodomys deserti) are nocturnal residents of the deserts of the southwestern United States and Mexico. Rattlesnakes are ambush predators, meaning they sit still for long periods waiting until prey unaware of their presence get close enough. They eat various small mammals, including kangaroo rats, and attack by suddenly and rapidly launching themselves toward their prey and killing it with a venomous bite. Avoiding the stealthy strikes of a hunting rattlesnake at night, therefore, requires exceptional speed and athletic ability. Kangaroo rats have both: they and other bipedal small mammals frequently evade ambush predation by snakes. 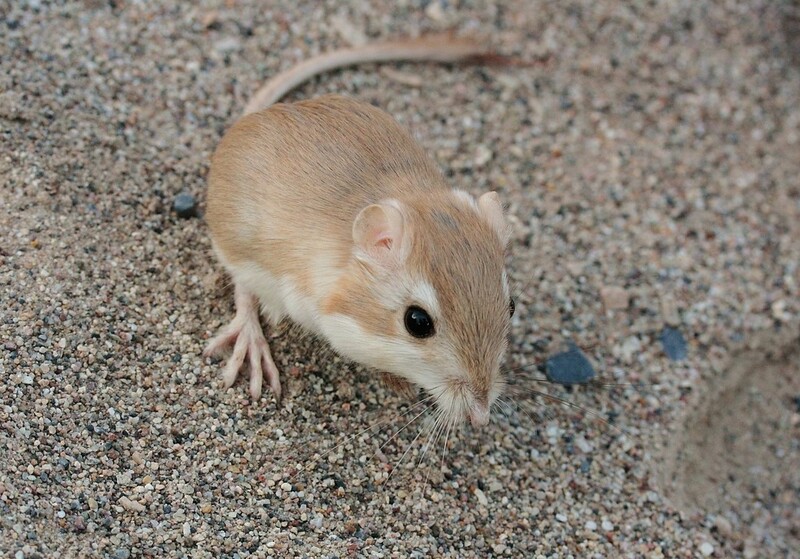 The seed-eating desert kangaroo rat in a quiet daytime moment. Its exceptional hearing, long tail, and long, powerful legs all contribute to its ability to survive surprise attacks by ambush predators such as rattlesnakes. Image by James Bailey via iNaturalist, CC 4.0. Kangaroo rats can hear the low-frequency sounds produced by the sudden movements of a striking snake or swooping owl. Their long powerful hind legs and strong tendons allow them to make impressive vertical leaps or bound away in any direction. Recent development in high-speed video technology enabled the research team to produce and analyze data on the rapid and unpredictable snake attacks and kangaroo rat responses in the field and to quantify exactly how these small mammals escaped predation. The videos provide an unprecedented view of the maneuvers that kangaroo rats use to defend themselves against a dangerous predator. They were not expecting karate kicks. A high-speed recording of a desert kangaroo rat (Dipodomys deserti) defensively kicking away a sidewinder rattlesnake (Crotalus cerastes) in mid-air. Researchers filmed the free-ranging animals in their desert habitat at night with high-speed cameras using near-IR lights invisible to both species. The video was recorded at 500 frames per second and slowed down here about 30 times. This clip shows the ability of kangaroo rats to avoid venom injection, even when bitten, by using a forceful mid-air kick to dislodge the snake and push it away. Video courtesy of ninjarat.org, where you can find more information and additional videos. To film snake-rat interactions in the wild, the researchers first had to find both predator and prey in the dark. The research team tracked the rattlesnakes by embedding tiny radio telemetry tags in free-ranging snakes and setting up video cameras when the snakes approached active kangaroo rat burrows. They marked kangaroo rats with miniature ear tags and a fur dye to distinguish individuals and used variations in fur and shape for the many unmarked rats that they recorded in the videos. They tracked the tagged rattlesnakes each evening. When they found a snake hunting near active kangaroo rat burrows based on the standard ambush position used by the snakes, they positioned a pair of cameras recording at 500 frames per second with a shutter speed of 1/500th of a second, together with four to six infrared lights, about 3 meters (10 feet) from the snake. The filming setup with lights and cameras at night. Recording ambush predators such as rattlesnakes requires patience, assisted by miniature radio-tags, high-speed cameras, and infrared lights that are invisible to both the snakes and the kangaroo rats. Image courtesy of ninjarat.org. “We only use infrared lights that emit a wavelength, which is invisible to both kangaroo rats and rattlesnakes, as well as ourselves,” University of California, Davis, ecology doctoral student Grace Freymiller told Mongabay. Rattlesnakes have infrared-sensing pit organs that allow them to “see” heat, said Freymiller, the lead author of one of the two papers, so the research team selected lights that emitted a wavelength outside the spectrum to which the snakes are sensitive. The recorded interactions therefore took place in complete darkness, with only the cameras able to see what was going on. 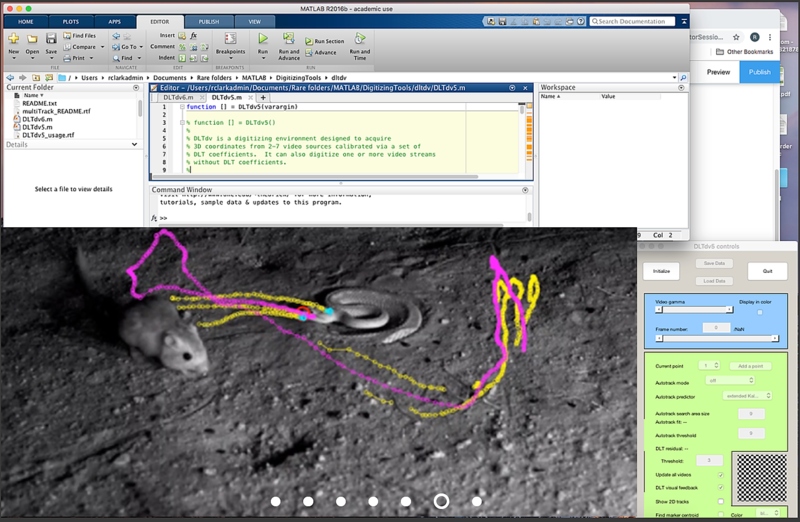 The researchers connected the cameras to laptop computers via cables that allowed human observers to stay at least 20 meters (66 feet) away from the snake. An observer watched the live video feed on the laptops until the snake either interacted with a kangaroo rat or abandoned its ambush. The video was left running, so that when a snake initiated an attack, the observer triggered a camera, which saved the preceding 10 seconds of footage, giving context to the interaction. The team analyzed several types of the kangaroo rats’ evasive movements to better understand how their physical features, such as their long tails and powerful legs, and the speed and angles of their jumps combined to help them evade predation by the rattlesnakes. The researchers digitize their video recordings to extract data on the animals’ movements, including speed and angles of attack and defense, and build statistical models to analyze the data. Image courtesy of ninjarat.org. Finding and recording snake predation attempts wasn’t easy. Over nearly three months of placing the high-speed cameras to record snakes hunting where the rats were foraging, the researchers recorded 32 strikes: 15 hits in which rattlesnakes contacted and bit kangaroo rats, and 17 misses in which the snakes failed to make physical contact. What they found using the higher-speed video surprised them, as the interaction happens faster than a human eye can detect. According to the research team’s statement, the blink of the human eye lasts about 150 milliseconds. The slowed-down footage showed that the rattlesnakes frequently launched from absolute stillness to reach the kangaroo rats in less than 100 milliseconds. What surprised the researchers was that the kangaroo rats turned out to be even faster, with typical reaction times around 70 milliseconds, and some jumps initiated within 38 milliseconds of a snake starting its strike. These near-vertical jumps of more than six body lengths into the air, reaching a velocity of more than 27 body lengths per second, combined with reacting 3.5 times faster than human response time to visual stimuli, helped the kangaroo rats evade snake strikes. A kangaroo rat demonstrates its massive vertical leap and use of its long tail to reorient itself in mid-air. Video courtesy of ninjarat.org. The recorded kangaroo rats’ movements greatly reduced predation, even from an otherwise deadly predator. The recordings showed that about 81 percent of strikes were accurate, yet the snake actually bit the kangaroo rat in just 47 percent of the strikes. Moreover, in just 22 percent of strikes did the snake actually kill and eat the kangaroo rat. 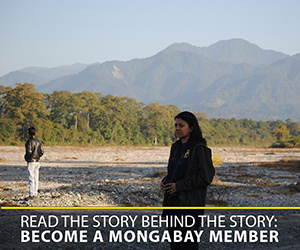 The new, faster video technology made this finding possible. “Our previous work used lower-speed cameras, and although it seemed as though snakes had successfully struck their prey, the movements of the animals at the moment of impact was too blurry to see details,” said Malachi Whitford, a doctoral student at San Diego State University and lead author of the other publication. In fact, in all of the recordings of these athletic jumps, even those in which the kangaroo rats twisted their bodies or kicked in mid-air, they always managed to reposition themselves to land on their hind feet. That enabled the rats to immediately add an extra jump away from the snake. A kangaroo rat evades a sudden rattlesnake attack from a few inches away by rolling and torquing its body, leaping up, and bounding away. Video courtesy of ninjarat.org. The defensive mid-air kicking was more of a surprise to the researchers. 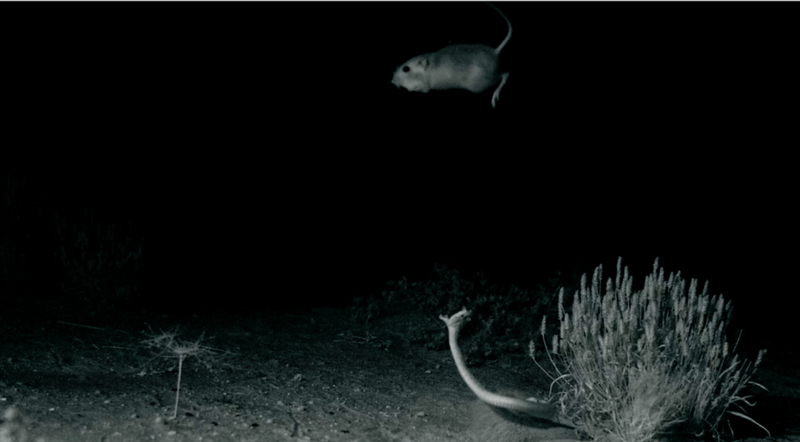 Kangaroo rats kick-fighting. Desert kangaroo rats are territorial and will use their leaping and mid-air ninja kicks to fight over resources, defending their burrows, food caches, and foraging areas from invaders. The PVC pipe was used as an experimental setup testing the animals’ reaction times. Video courtesy of ninjarat.org. Through the high-speed video recordings, the researchers analyzed strike and reaction speed, distance and angle the rats moved to avoid being bitten, and several aspects of the impressive maneuverability displayed by most of the kangaroo rats in the recordings. Their “kicks, flips, twists, body contortions and other rapid mid-air movements” helped the kangaroo rats not only avoid the snakes’ fangs but also remove them fast enough to avoid their full effect. After seeing some kangaroo rats receive bites yet still jump away and survive, the researchers tested the rodents’ blood to be sure they weren’t physiologically resistant to snake venom, the way some squirrel and opossum species are. They weren’t. Freymiller said the challenge in obtaining sufficient sample points to create an adequate training data set would currently preclude automating the video analysis, but the growing use of the technology in other studies has piqued the team’s interest. Banner image of a rattlesnake attacking a kangaroo rat in the southwestern U.S. desert courtesy of ninjarat.org.